Recently, the National Consumers League, a 100-years old consumer protection group based in Washington DC, formally requested that the FTC investigate Herbalife for pyramid fraud. Herbalife has been called a “pyramid scheme” by one of the country’s largest hedge funds who presented a 300-slide presentation laying out the facts on Herbalife of a pyramid money transfer, inflated pricing, deceptive earnings claims, excessive charges for shipping, and large-scale losses by Herbalife distributors. The SEC has announced an investigation of the company. 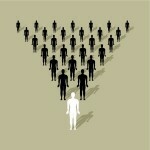 A Belgian court has ruled that the company operates an illegal pyramid scheme in that country. Herbalife has been successfully sued by consumers in two class action lawsuits charging that it operates a pyramid scheme. More recently, a massive and deceptive radio advertising campaign that claimed to offer people “income at home” was linked to Herbalife. Pyramid Scheme Alert examined publicly available data on the financial fate of over 100,000 USA residents who invested at the highest level of the Herbalife recruitment chain, the “supervisor” level (see link to full report at bottom of page). This level can be gained by making inventory purchases of approximately $4,000. Many more costs may be additionally incurred by these Herbalife “business opportunity” investors. The top 1% of Herbalife’s reported “Supervisor/Leaders” – 1,185 individuals – received 66% of all commission payments. The mean average annual “gross compensation” of the bottom 99% of all reported “Supervisors/Leaders” in the USA in 2012 was $21.46 per wk., before all purchase costs and all other business expenses are deducted, indicating an average net loss. The median average (half receive more and half receive less) is very near zero. The bottom 49% received no payment and the next 35% on the chain earned only $292 per year, on average. The mean average for the bottom 84% of the reported Supervisor/Leaders is $120 per year or $2.31 per week. Less than 2% of reported Herbalife Supervisors received $35,000 or more on average, before expenses and product purchases are deducted. The reported income of the top 2% is based on worldwide, not domestic-only recruitment chains. 96% of reported “Supervisor/Leaders” received, on average, the equivalent of less than one-half the wages of a minimum-wage job, before all purchase costs and all other business expenses are deducted. 49% of reported Supervisor/Leaders received no income from Herbalife at all. 67% of reported Americans who joined as first-year Supervisors drop out within the year they join. 49% of all reported Supervisor/Leaders dropped out or lost Supervisor status within a year.